Panda hypnotized by a Comet Hitch-Hiking Vixen. 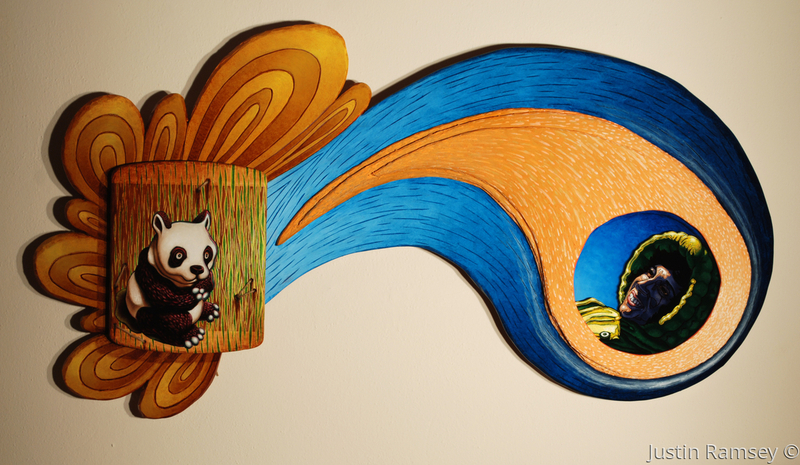 This piece was constructed from cut and carved wood, a carved bamboo cutting board, twine, glass. The wood was painted with acrylic and oil paint. The glass was reverse and front painted to add depth. Stained oak hanger bars with felt pads float this piece one inch off the wall for nice shadow effects.